Loves this series - will follow! It has all the necessities, bubblegum, popcorn, collections of decorative bottles, flowers, a karaoke machine and a computer terminal. 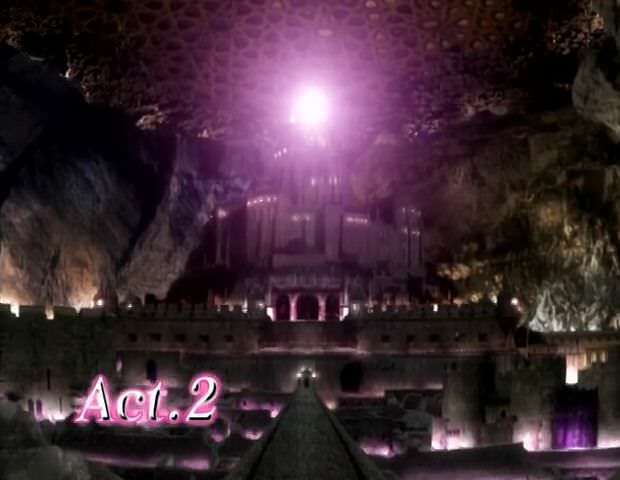 When I first saw this, years ago, I thought "It's like a girly Batcave!" Usagi is, of course, bursting to tell Ami the news. ...Usagi's going to sound totally insane! ...actually, that turns out not to be the problem. ...Ami feels that Usagi only wanted to be her friend to recruit her as a guardian. Also, all her time is spent studying. Superheroing is likely to negatively impact her study regime. Usagi is with her usual clique (Naru and the other two) but she keeps looking to Ami's empty desk. Ami is on the roof (it looks like it rained recently). ...oh, and she brought dessert for two. Ami: "I'm used to this." Back home, Usagi is disappointed. Usagi: "Don't, she said no. It would just make her miserable." Luna: "But we can't just replace her, we need her!" Usagi: "It's not fair to do that to her. It's cruel!" Usagi: "I'm definitely, definitely against this!" ...who presents her with a map! Ikuko: "I'm worried about your grades, so I've signed you up." Ikuko: "Complain when you're getting good grades. You're going." Ami decides to study to some music (namely, Usagi's bootleg album). Her teacher seems none the worse for wear after her encounter last night, so she's probably possessed by a youma. Teacher: "Everyone listen very closely from now on." ...except Ami, who's listening to Minato's latest album. Usagi arrives at the cram school. Luna: "...its the same cram school as Ami, right?" Luna: "This is our chance to convince her!" Usagi: "We are definitely not going to do that." ...who is, of course, Mamoru. Mamoru: "It's the fake model. Watch where your going!" He spots something she's dropped. Mamoru: "You're going the wrong way." He'd picked up her map. ...but into this place... (which is next door). Usagi: "This is much too basic." 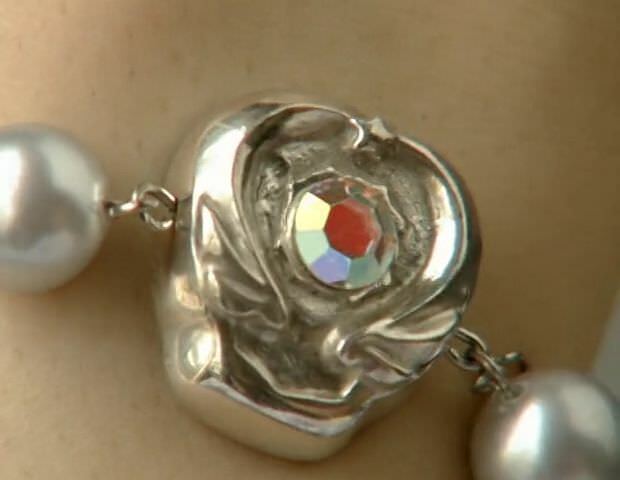 Mamoru: "Seems perfect for you." ...with that shot, he leaves. 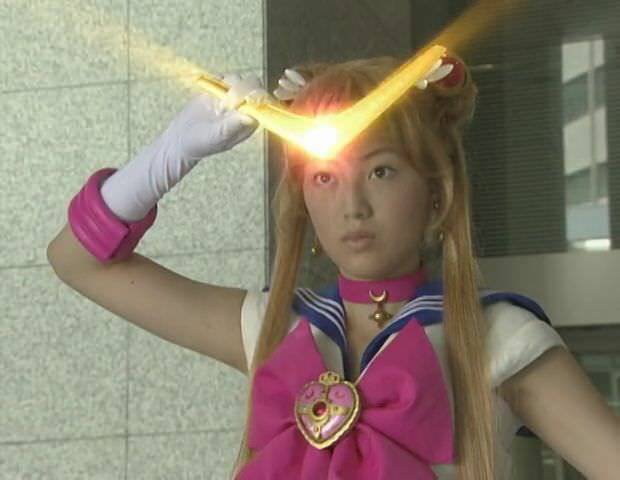 Luna: "There's no way Usagi is on the same level as Ami." Luna: "Mooncat senses tingling! Strong evil detected!!" Back in the classroom, Ami's classmates suddenly collapse. The teacher grabs Ami's earphones. Teacher: "You shouldn't be listening to this in class..."
Teacher chucks the music player to one side. 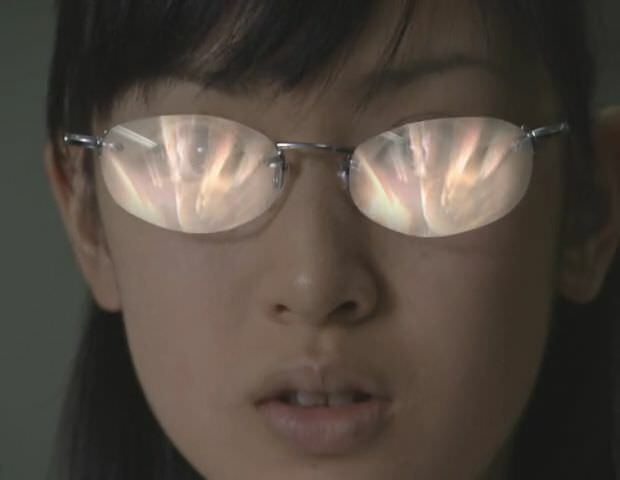 Teacher: "I suppose I'll have to drain you first..."
We get to see the teacher's transformation reflected in Ami's glasses. 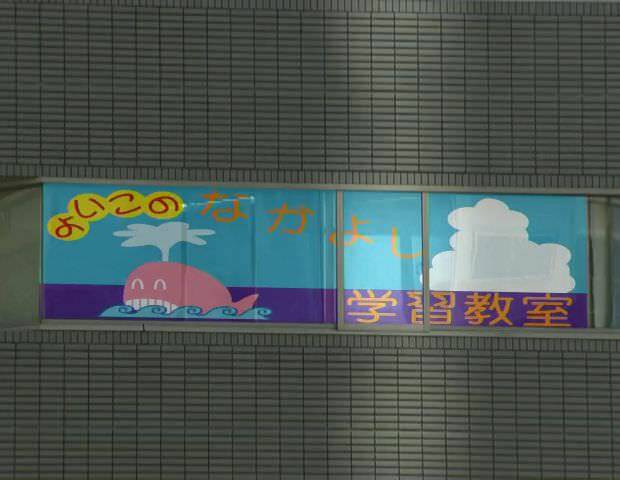 Ami runs for it, the building is full of unconscious people! The youma makes a grab for her, Ami dodges, and the youma falls down stairs. ...from the sounds it makes, it seems to be made of terracotta. The shock seems to cause GOLEM to reject Ami's teacher. Ami: "That's Cruel! Using the teacher like that..."
Ami flees, pursued by GOLEM. Fortunately, Usagi and Luna spot them. (And I've just noticed something, which I will get to in a few minutes). GOLEM has Ami trapped up against a safety rail. Sailor Moon arrives, and demonstrates that she's still got her old favourite! This time, the Moon Tiara Boomerang really is a bommerang. (Rather than a chakram or an atomic frisbee). ...but GOLEM quickly recovers, and lunges at Ami...! ...sending them both over the safety rail! ...and they're quite a way up! ...last minute Sailor Moon save! ...she leaps over the railing, grabs Ami's wrist in one hand, and the railing in the other. GOLEM hits the ground and shatters. Ami finds herself dangling over a long drop, held only by Tokyo's latest superhero. (And for the long shots, I suspect the girls have a dummy as a stunt double). ...she is, understandably, a bit shook up. Sailor Moon; "Ami... are you all right?" Ami: "Could you be... Miss Tsukino?" Then the other youma Jadeite created shows up. The two girls are in a precarious position, Sailor Moon is dangling off a railing, quite high off the ground, and holding onto Ami with her other hand. Sailor Moon: "You don't have to if you don't want to." Sailor Moon: "It'll work out somehow." Ami: "...it's not that I don't want to. I want to help you!" She throws her a mote of yellow light, that transforms into a charm bracelet. ...at which point, Sailor Moon's grip slips! And here is what I noticed earlier, notice the wheel of astrological symbols. Sailor Mercury lands neatly in an ornamental water feature. 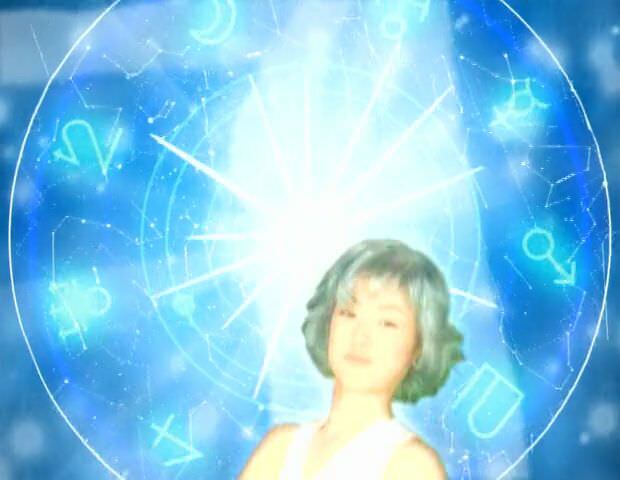 Sailor Mercury: "Guardian of Water and Intellect... Sailor Mercury!" Sailor Mercury: "In the name of Mercury, I'll punish you!" 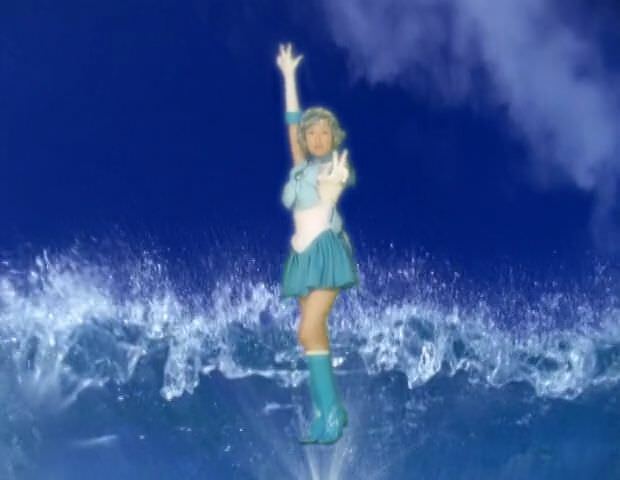 OOC: a!Sailor Neptune: "Hold on, I though tsunami were my shtick!" Sailor Moon drops down to join her. GOLEM and DOGOLEM join battle. Sailor Moon (adopting battle stance): "Let's do it!" Sailor's Moon and Mercury perform a double pirouette synchronised dodge. GOLEM collides head on with DOGOLEM. The two Sailors circle-strafe round GOLEM and DOGOLEM. ...then deploys the Moon Stick! Sailor Moon: "MOON TWILIGHT... FLASH!" 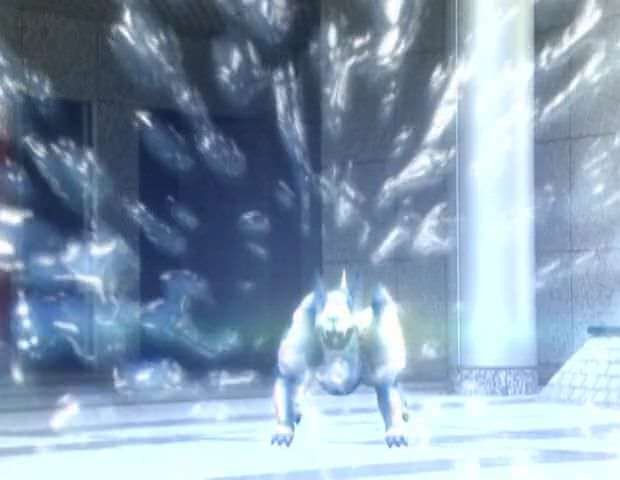 DOGOLEM leaps at Sailor Mercury, who dodges under the attack. DOGOLEM slams into a piller, momentarily stunning it. Sailor Mercury: "MERCURY AQUA MIST!" 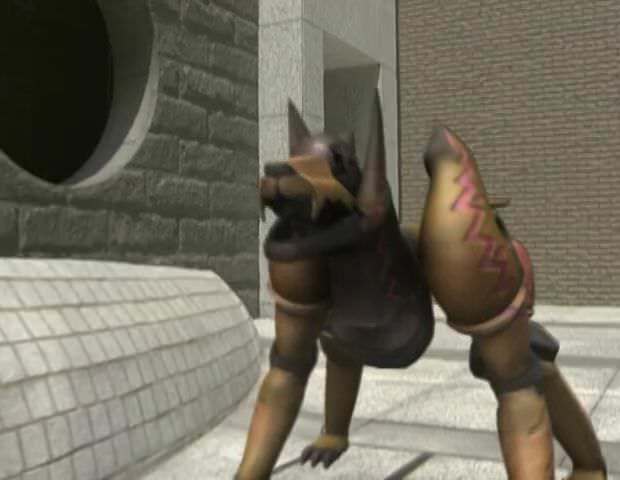 DOGOLEM: "Heh, heh, mist won't hurt me!" Sailor Moon: "We did it!" Sailor Moon: "...but, are you really ok with this?" Sailor Mercury : "I'm not sure why, nonetheless, I want to fight with you, together!" ...how much did he see? It would appear to be autumn (which matches the broadcast dates), leaf litter lies thick upon the ground. Jadeite plants a crystal in a pile of leaves. Jadeite: "Next time will be..."
Shrine Maiden: "It's coming... Something ominous!" ...but as there are 49 acts, I suspect this will change. There are definitely points where you can see them keeping the costs down, if you look hard. 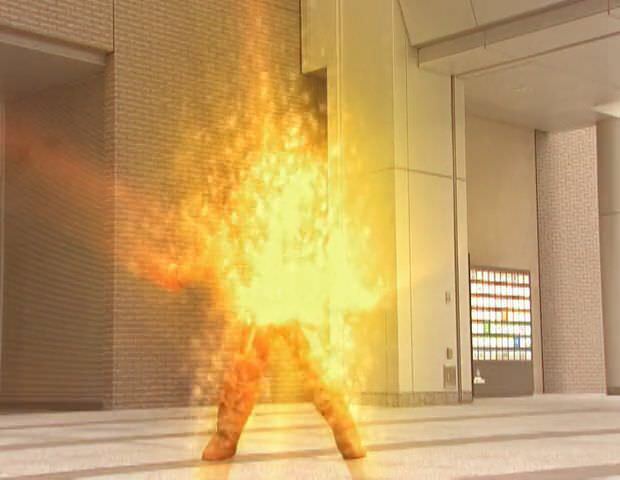 I suspect that most youma will be of the 'Super Sentai monster' man-in-a-monster-suit type. Ami is played by Rika Izumi (credited as Chisaki Hama) and was 14 when this show began - so she was about the same age as Ami. IIRC all the girls were played by amateur actors of their characters' ages, and you can see them getting better at acting over the series. One detail: Her name is Tsukino. Not Tuskino. At the Helm's Deep Geofront. Hell TV is so lame. That little detail is one of the things that makes this show so interesting. Both character development and acting development. This is probably a silly question, but my technology experience ended with the days of the Commodore 64. Is there any website that sells licensed subtitled DVD's of this? I'd love to try it down, but streaming and such ain't my strong point, so like DVD's. Sadly, there is no licensed DVDs of this available.